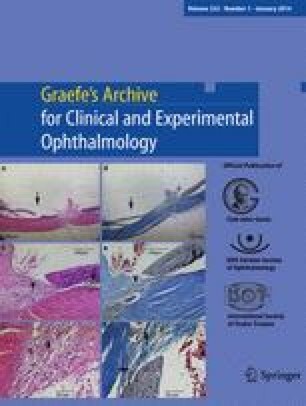 Lutein and zeaxanthin are thought to have beneficial effects on protecting the lens against cataract formation, but findings from epidemiologic studies have been inconsistent. We aimed to conduct a meta-analysis of prospective cohort studies to examine the association between dietary lutein and zeaxanthin intake and risk of age-related cataract (ARC). We systematically searched MEDLINE, EMBASE, Web of Science, and Cochrane Library databases up to March 2013. Reference lists from retrieved articles were also reviewed. The adjusted relative risks (RRs) from each study were extracted to calculate a pooled estimate with its 95 % confidence interval (CI). The dose–response relationships were assessed by using generalized least-squares trend estimation. Six prospective cohort studies were identified involving 4,416 cases and 41,999 participants. For the comparison between the highest and the lowest categories of dietary lutein and zeaxanthin intake, significant inverse association were found for nuclear cataract (RR: 0.75; 95 % CI: 0.65, 0.85), but not for cortical cataract (RR: 0.85; 95 % CI: 0.53, 1.17) and for posterior subcapsular cataract (RR: 0.77; 95 % CI: 0.40, 1.13). Dose–response analysis showed that every 300 μg/d increment in dietary lutein and zeaxanthin intake was associated with a 3 %, 1 %, or 3 % reduction in the risk of nuclear cataract (RR: 0.97; 95 % CI: 0.94, 0.99), cortical cataract (RR: 0.99; 95 % CI: 0.95, 1.02), or posterior subcapsular cataract (RR: 0.97; 95 % CI: 0.93, 1.01) respectively. Dietary lutein and zeaxanthin intake is associated with a reduced risk of ARC, especially nuclear cataract in a dose–response manner, indicating a beneficial effect of lutein and zeaxanthin in ARC prevention. Served as scientific advisors (LM, JPP); critically reviewed the study proposal (LM, RRL, QS, JPP); collected data (LM, ZXH, RBY); management, analysis and interpretation of the data (LM, ZXH, RRL, RBY, JPP); and preparation of the manuscript (LM, RRL, JPP). This study was supported in part by grants from the National Natural Science Foundation of China (81202198), the Natural Science Foundation of Shaanxi Province of China (2013JQ4008) and the Fundamental Research Funds for the Central Universities of China (xjj2012052). None of the authors have any conflicts of interest associated with the work presented in this manuscript.